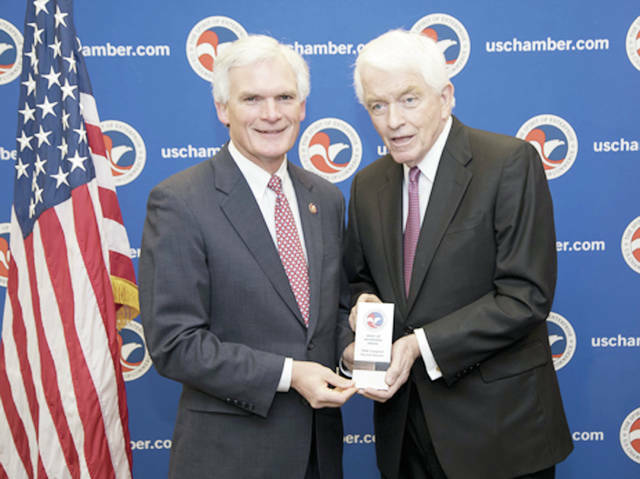 https://www.swantonenterprise.com/wp-content/uploads/sites/23/2019/04/web1_latta-award.jpgFifth District Congressman Bob Latta (R-Bowling Green) was the recipient April 4 of the “Spirit of Enterprise” award by the U.S. Chamber of Commerce for his pro-jobs and pro-growth record legislative record. Recipients must receive a 70% on the Chamber’s scorecard from the previous year. “I’m honored to receive the “Spirit of Enterprise” Award that shows my commitment to policies that create jobs, expand our economy, and increase wages for workers,” Latta said.